Shot with Nikon D850 and 24-70mm lens. ISO 400 | 24mm | f/9 | 20 sec. You go on vacation and want to spend some time getting photos of the places you travel. The problem is twofold: you didn't plan all that well so you're not sure where the best places are to take photos, and on top of that, you brought every single piece of gear you could cram into your bag. The temptation to bring everything but the kitchen sink will end up sinking you on your trip. Not only will you have way too much gear to carry (most of which you'll never take out of the bag), but that's just more gear you have to worry about losing or being stolen. That being the case, I thought I'd offer up a few travel photography tips, particularly for planning your trip and selecting what gear to bring. Shot with Nikon D850 and 24-70mm with Singh-Ray LB Color Polarizer. ISO 80 | 24mm | f/5.6 | 1/20 sec. I'm basing these tips off of my recent trip to Hawaii, in which I did a couple of things I've never done before. The people that know me well understand that I want to bring gear with me that I know how to use, that I've personally tested, and that I understand to be bulletproof. But this time, I used a brand new camera bag and tripod, neither of which I'd used before setting foot in Hawaii. I'll get into the details of the gear I recommend for travel photography a little later. First, let's talk planning. 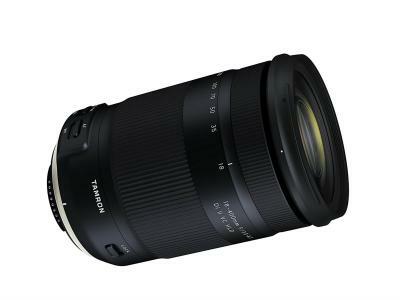 Editor's Tip: Not sure what lenses are best for travel photography? Learn why a prime lens is a great travel photography companion. Shot with Nikon D850 and 24-70mm with NISI 3 Stop ND. ISO 64 | 24mm | f/9 | 3 sec. I cannot emphasize enough how important prior preparation is for the success of your photography trip. Even if you're traveling to a place that you've visited before, it's important to do your research ahead of time, that way you know what you want to photograph, how to get there, the best times of day to capture the best photos, and so forth. Use Google Images. 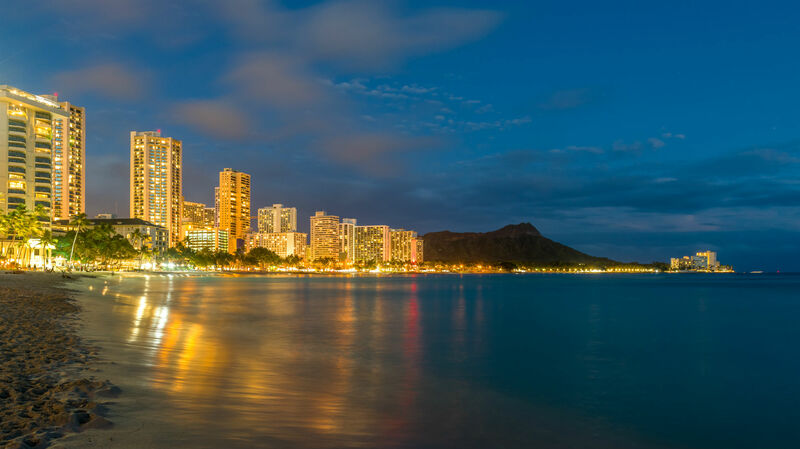 I went to Waikiki, so I Googled photos of Waikiki to figure out what the must-see locations were. Do the same for your travels, and make a list of the spots you want to photograph, bearing in mind that you should seek out under-the-radar locations rather than just photographing the well-known and iconic spots. Do a Google search for each location you've made on your list. Look for details like how to get to each spot, tips for where to park, details about walking or hiking distances and so forth. This will help give yourself plenty of time to get from your hotel or other accommodations to each site. Organize your photo outings using the information you gleaned from your Google searches. 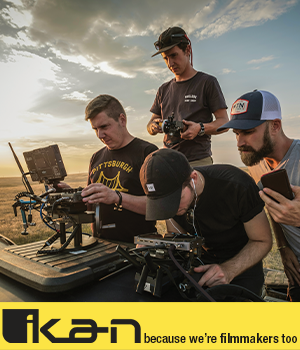 Group shooting locations together to minimize travel time and maximize your time behind the lens at each spot. If you sign into your Google account, you can search for the locations you wish to photograph and add waypoints to the map so that you can make travel from one spot to the next much simpler. With the basic research about locations out of the way, it's time to do a little advanced planning. Before you leave, check the long-term forecast for the area you're visiting. On my recent trip to Hawaii, the forecast was for clouds and rain for the majority of the time. That being the case, I packed accordingly, both in terms of having rain gear for myself and picking up some rain gear for my camera, too. 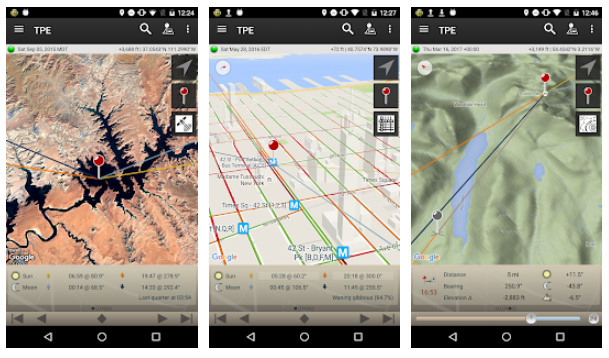 If you're into sunrise and sunset photography or astrophotography, I highly recommend the Photographer's Ephemeris (shown above; available for iOS and Android), as it will give you pinpoint information about the sunrise, sunset, moon phases, and even the location of stars and constellations based on your specific location. Another handy planning tool I suggest using is the Dark Site Finder, which will show you where to find the darkest skies for astrophotography purposes anywhere on earth. Consulting with tools like these well in advance will aid you in your planning process and help you figure out what sites to visit and when to get the best photos. You might also search for photographers in the area you wish to visit and see if they have any tips on their website, blog, Facebook, and so on for taking photos in the area. You never know what kind of inside information a fellow photographer might offer up for free. 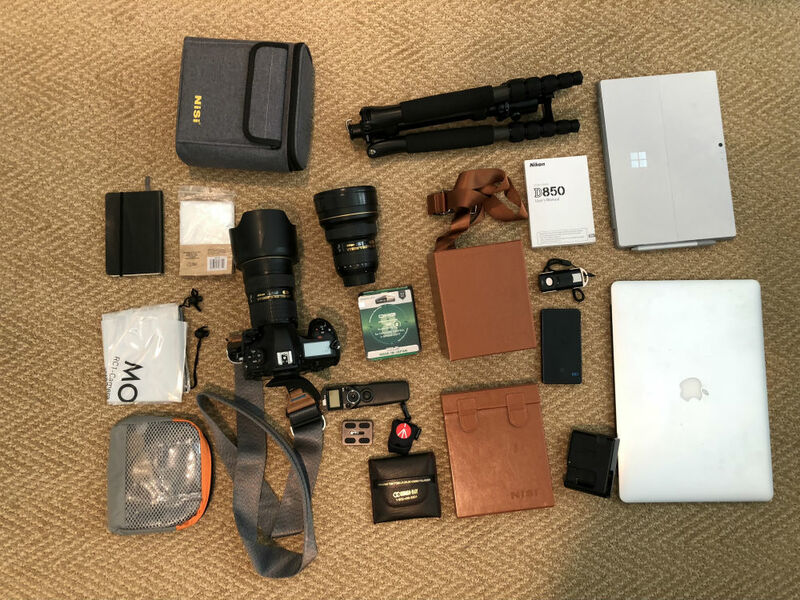 As I noted in the introduction, there is often a propensity for photographers to pack absolutely every bit of gear they own when they travel. And while this is done out of fear of not having something should you need it, the chances are very good that taking a few essential pieces of kit will serve you just fine. The key when packing for travel photography is instead to go lean and mean, as explained in the video above by Lonely Speck. 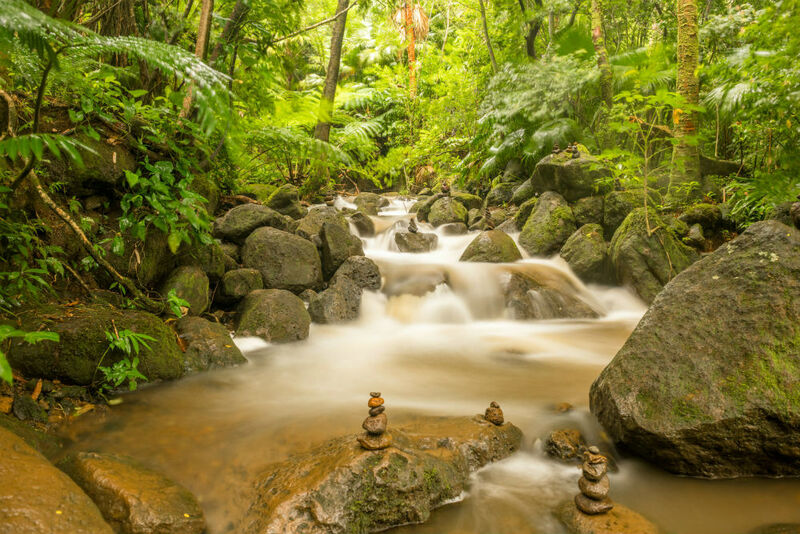 Not only does this help lighten the load you carry, but it also forces you to think long and hard about the type of photography you wish to undertake. That is, if after all the photos you've looked at and research that you've done about your destination you find that you'll be focusing mostly on wide-angle landscapes, then you don't need to bring along your 100mm macro lens. Weight - Avoid big, bulky, and heavy gear in favor of smaller items that serve the same purpose. For example, if you have a mirrorless camera body and a DSLR, think about leaving the DSLR at home and using only your smaller, lighter mirrorless camera. Versatility - Many travel photographers swear by having a versatile zoom lens - like a 24-70mm - in their bag. You can photograph all sorts of subjects with a lens like this, meaning it can pull double and triple duty. Compactness - Particularly with tripods (which I discuss more below), it's important to consider how compact they are when they're in their folded up position. A giant tripod in your bag (or lashed to the outside) will take up tons of room and be unwieldy as you travel. Accessories - Only bring the peripheral items that you absolutely need - extra batteries, SD cards, and filters come to mind. Don't bring multiple tripod heads, camera remotes, camera straps, and so forth. Another thing to consider when packing for travel photography are the restrictions on size and weight of bags from the airlines. If you're like me, you have no desire to check your bag full of expensive photography gear, so packing will be driven in large part by what's allowed in terms of carry-on size and weight. 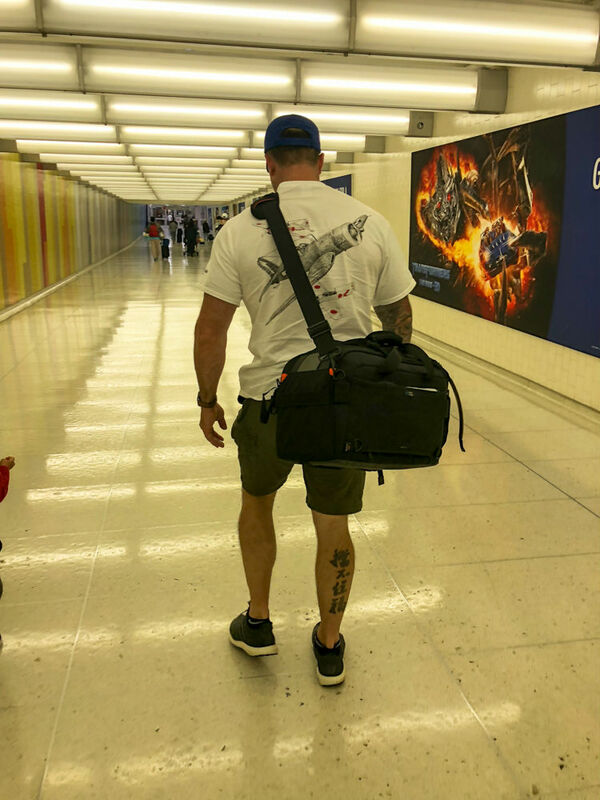 If you're close to the weight limit or over the limit for your carry-on bag, a trick to try is to take your camera out and carry it on your shoulder as a separate item. If you have a laptop, you can also carry it in your hand. These items have to be taken out of your bag at security anyway, so treating them as separate items until you're through security can help you avoid bag overages but still have the ability to stow them in your bag for safe travels. Editor's Tip: Not sure where to go for your next travel photography adventure? Find out why Iceland is full of photography treasures. The gear that you bring for your trip should be tailored to who you are as a photographer and the destinations to which you travel. That being said, I have a few recommendations for gear based upon my recent travels that I feel would serve just about any photographer in just about any situation very well. As I noted earlier, I broke with what I usually do when I travel and used a brand-spanking new bag for my latest trip. That bag is the Vanguard Quovio 41 shoulder bag (shown above), and man, am I glad I decided to pick this thing up. What became immediately apparent when I unboxed this bag and started to inspect it is the sheer volume of gear that I could fit inside. 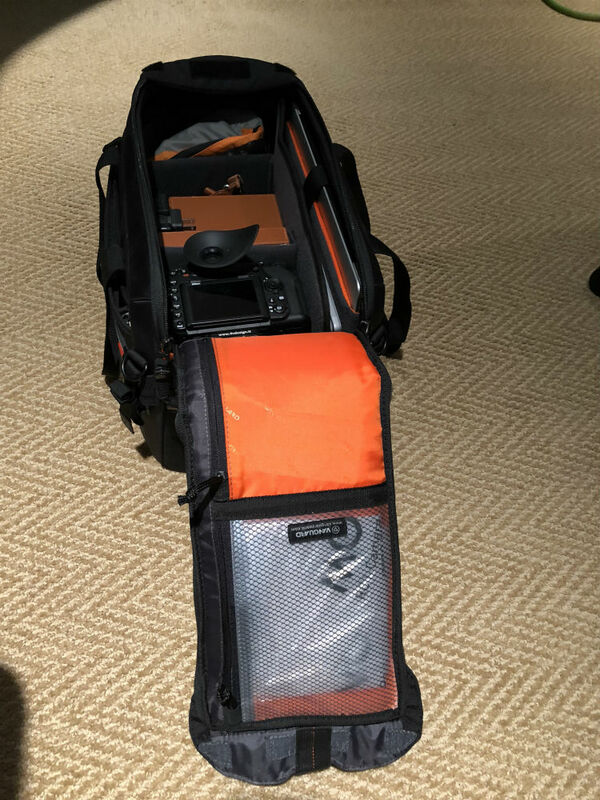 Aside from its cavernous storage capacity, I appreciated the huge top access panel, which unzips on both sides and folds away so I could actually see my gear inside the bag. The interior of the bag is just as handy, with tons of room and thick, cushy padding that cradles my gear. 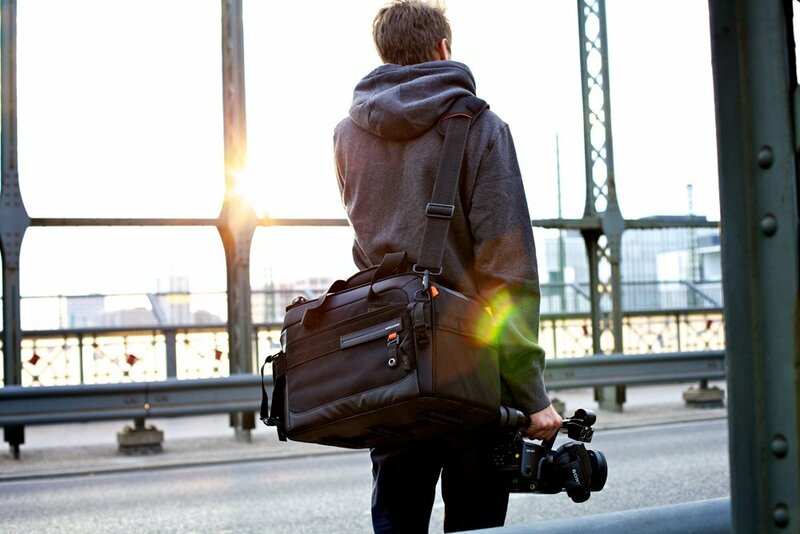 The divider system in the bag is ingenious, allowing you to configure it in a way that accommodates the specific gear you're carrying, be that a mirrorless system, a DSLR system, or even video gear. This bag has all sorts of other pockets and compartments, too, including two mesh pouches and even a memory card wallet to help you keep your things nicely organized. The Quovio 41 also offers multiple ways to carry it. I mostly used the very comfortable shoulder strap, which has an anti-slippage covering so you can carry the bag with confidence. The bag also has robust handles, a trolley attachment loop, and is even compatible with an optional ICS harness. It's that kind of versatility that makes this such a great back for traveling. 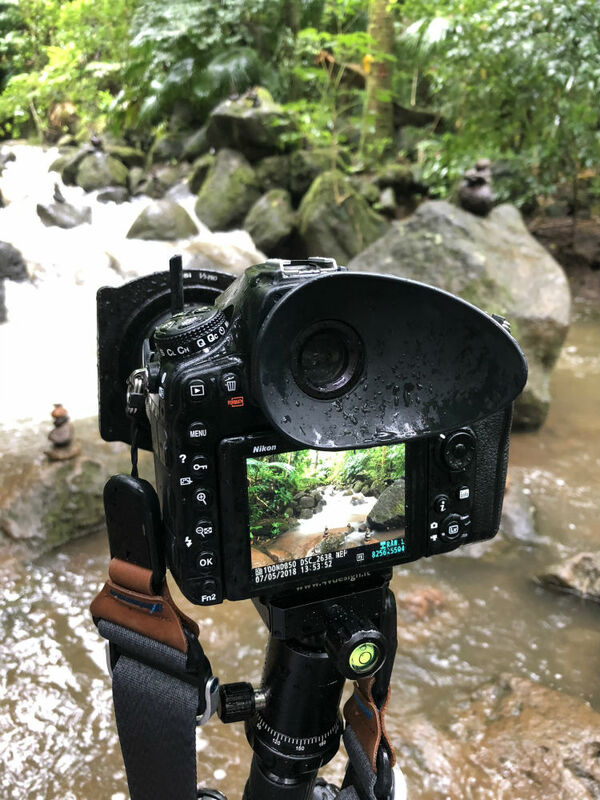 The integrated rain cover, water-resistant bottom, shock-resistant feet, and dual built-in tripod holders are just icing on the cake that make this an ideal travel photography bag. 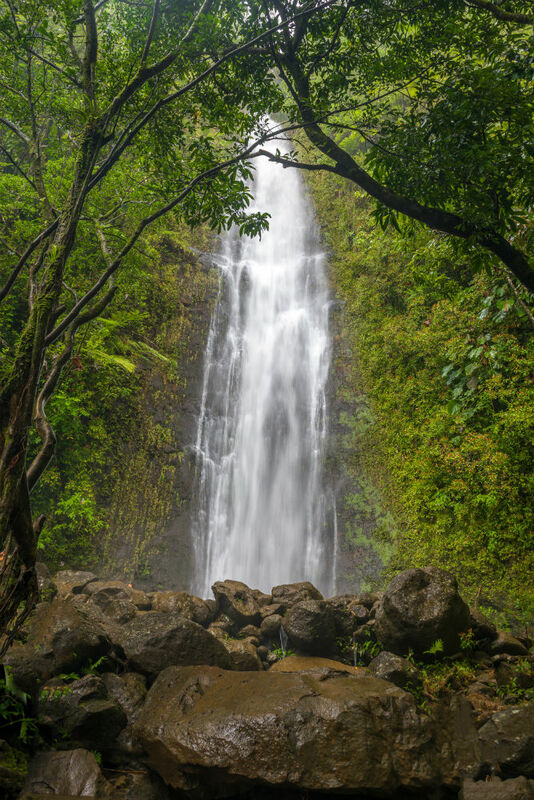 I wanted to spend some time at Manoa Falls while I was in Hawaii. At the hotel, it was bright and sunny, so I grabbed my gear and made my way to the waterfall. 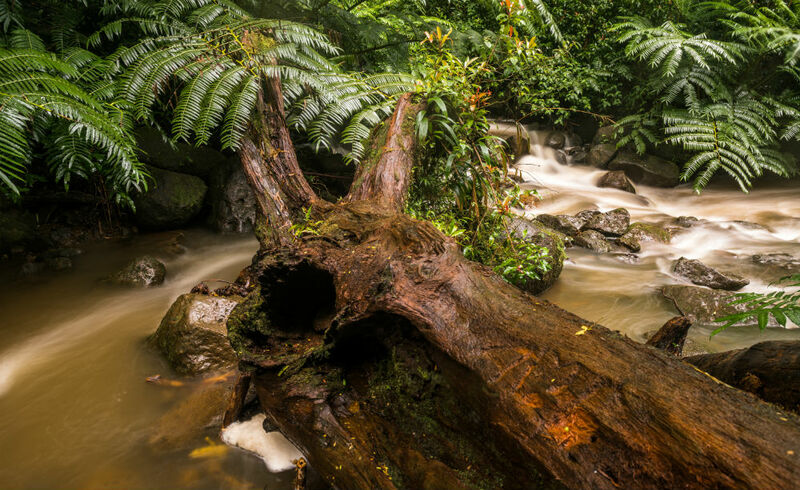 But as you can see in the image above, being at the waterfall was like being in a torrential downpour that soaked my camera, lens, and tripod. And I know what you're thinking...why didn't I use the rain cover that I brought with me on the trip? Well, a better question is why didn't I use either of the two rain covers I had with me? I have no good excuse, really. It was just a boneheaded move. 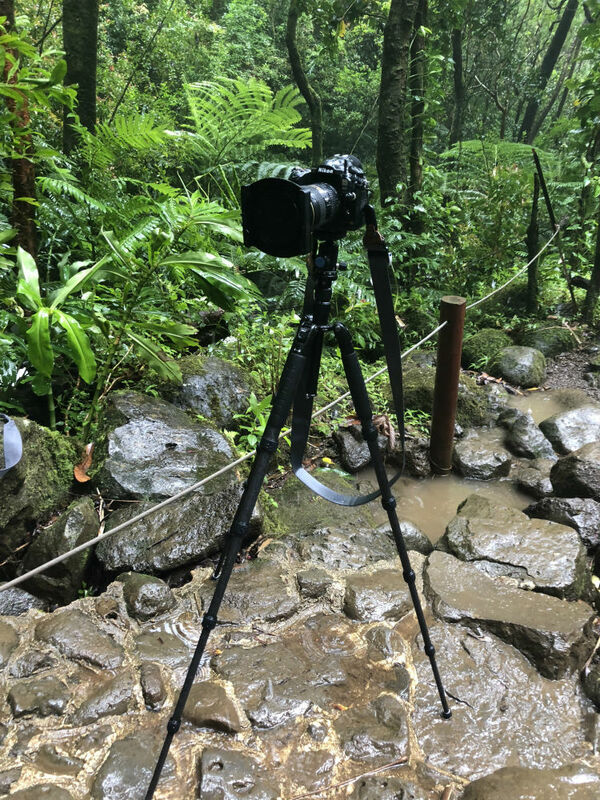 I saw beautiful sunshine at the hotel and just didn't think that I would be walking into a monsoon at Manoa Falls (check the short video above to see what it was like at the falls). All I can say is, good thing my Nikon D850 is weather-sealed! Another brand new piece of gear that I used on my most recent trip is the Sirui A-1205. I chose this particular tripod because it's incredibly lightweight at just 2.2 pounds. Additionally, when it's folded up, it's a mere 14.6 inches long so it's easy to carry as well. 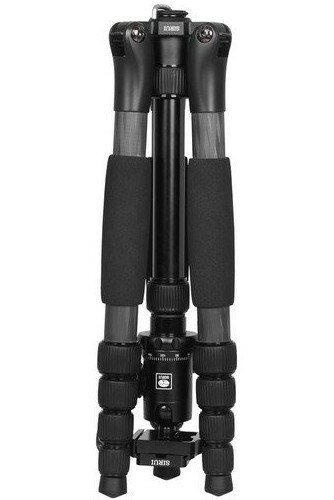 But don't think that because this is a small, lightweight tripod that it's somehow short on features. As you can see in the shot above, it extends nicely to a maximum height of just over 55 inches. What's more, it can hold up to 22 pounds of gear, so my Nikon D850 and 24-70mm lens didn't even come close to maxing out this tripod. Like I said, I'd never used this tripod before, so I was a little concerned that it would cause me trouble in the field, but that couldn't be further from the truth. It's variable angle legs were great for adapting it to the rough terrain. And even though this thing was sopping wet, there was no slippage whatsoever. 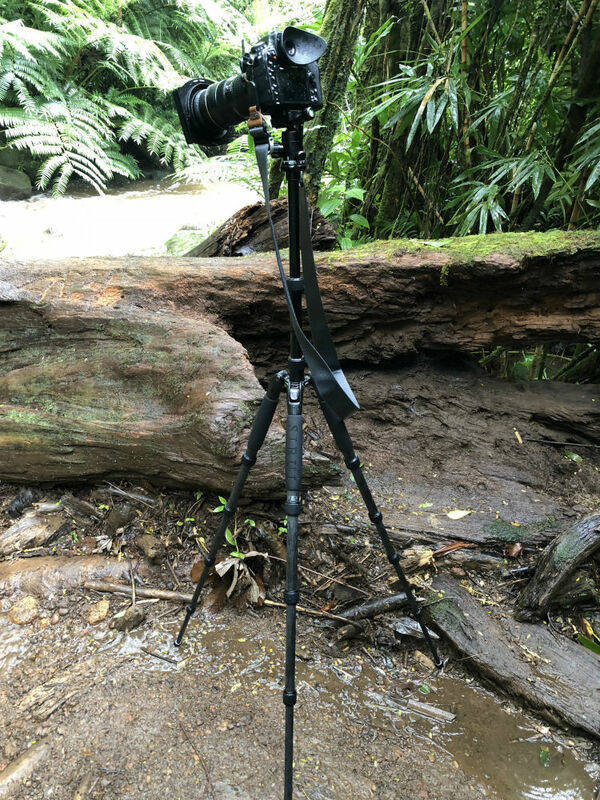 In other words, I found this tripod to be not just highly functional, but it also performed well in challenging conditions. And since it's so small, it was a breeze to carry around. 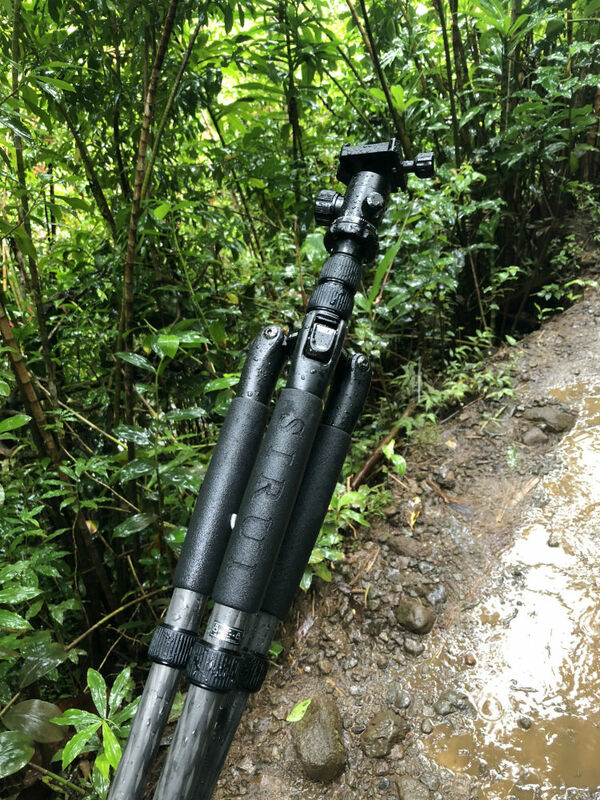 I didn't even have a chance to try the integrated monopod or the reversible center column, so that should give you an even bigger clue as to how good of a little tripod this thing is! Editor's Tip: Put some extra money in your pocket by joining our top-rated affiliate program. Get the details here. Shot with Nikon D850 and 24-70mm with NISI 6 Stop ND. ISO 250 | 24mm | f/6.3 | 15 sec. You can reference the gear list I provided above for a complete overview of all the bits and bobs I brought with me on my recent trip, but I wanted to point out a couple of things to highlight their importance. 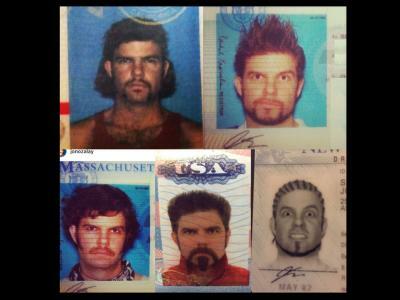 First and foremost, I strongly recommend having a good set of filters with you when you travel. Nothing can take the place of a well-built polarizer, graduated ND, and ND filter. I actually brought a ton of filters, mostly because I wanted to test them out. I've been using NiSi filters almost exclusively for the last few months, though, and they are very impressive. Sure, a filter kit with holders and adaptor rings is going to take up some space in your bag, but the results you can get when shooting with filters are well worth the added weight, if you ask me. Something else I'd like to point out is that I always bring my camera owner's manual with me. 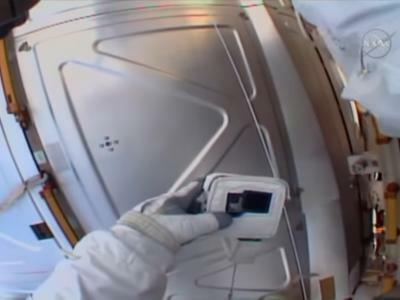 Call it an old-school move, but you just never know when something strange happens and you need some guidance from the manufacturer on how to resolve the issue. And as noted earlier, I like to bring just a couple of lenses that give me the versatility I need to take all sorts of different photos. This time around, I used my 14-24mm and 24-70mm lenses on my D850 and had more than enough focal range for the types of shots I wanted to take. And while this isn't an exhaustive list of gear you might need on your travels, one thing remains the same for most of us for travel photography - plan ahead, invest in quality gear, and pare down what you take, and you'll be all set! For even more travel photography tips, check out the video above by Jeven Dovey.